stacomiR stands for migratory control stations. It enables to read informations in a database dedicated to the monitoring of fish migrations.It allows to build overviews of fish migrations and create charts with data. Migratory fishes move upstream or downsteam in the rivers. 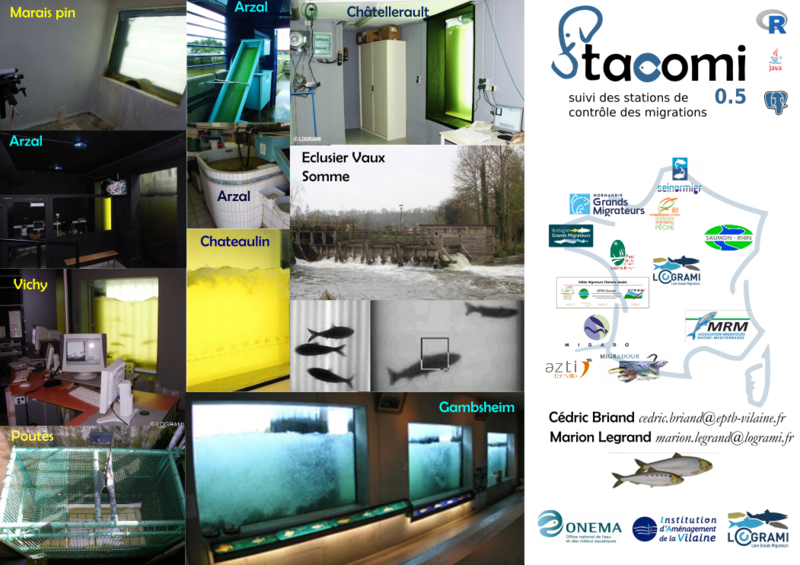 Monitoring stations, often located on fishways installed on dams, provide counts of migrants, and those are usefull to stock management. compare_arrows Migration overview for one or several species, and stages. To work with stacomi, you’ll need a database, and an installation of the program and java interface. Please contact the authors if you are interested in the project.